This is such a sweet time in our lives as we are essentially free of responsibilities. Our sons are adults who need little (if anything) from us, we do not yet have grandchildren and our parents have passed so we no longer have aging parent concerns. It required little planning to arrange to be away from the US for the four months we planned to spend in New Zealand and Australia. It was a relatively simple matter to winterize our motorhome and park it in a storage lot before hopping on a plane. We arrived in New Zealand with a full two months ahead of us without a single commitment. We had no worries…well, that is once we got used to driving on the left side of the road. 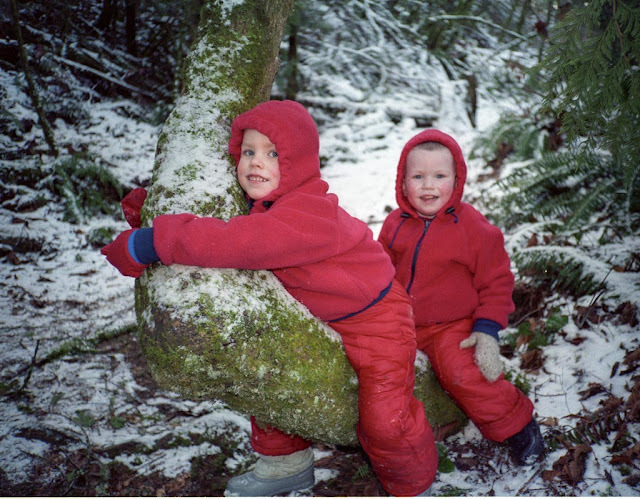 We’ve been talking about visiting New Zealand for decades and happily left eight inches of snow (with more forecasted) in western Washington. 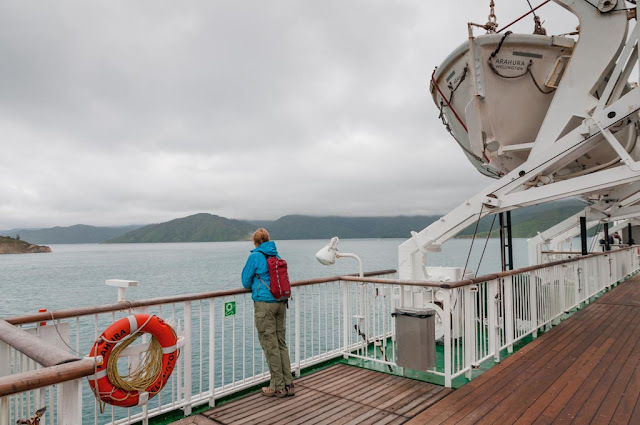 We didn’t have an itinerary; it was too much for our retired person’s mentality to try to figure out ahead of time, but we figured that three months would be enough time for us to figure out things once we got here. From the moment we arrived we were quite taken with the country. I don’t like stereotypes or making generalizations about the people of a particular country as I like to think that John and I don’t fit the “Ugly American” stereotype. But if I must generalize then I have to say that Kiwis are practical, polite, self effacing and friendly. There may very well be grumpy and rude Kiwis (who can’t fix anything with number eight wire), we just didn’t encounter any during the three months we were there. There also seems to be a collective attitude that Kiwis want to have a nice country and are willing to work together to achieve that. We prefer wilderness and solitude to cities and crowds any day (beyond the airport we avoided Auckland like the plague) and we came to New Zealand for the scenery but getting to meet some Kiwis was a definite bonus and a highlight of our trip. We in the US could learn a quite few things from them. 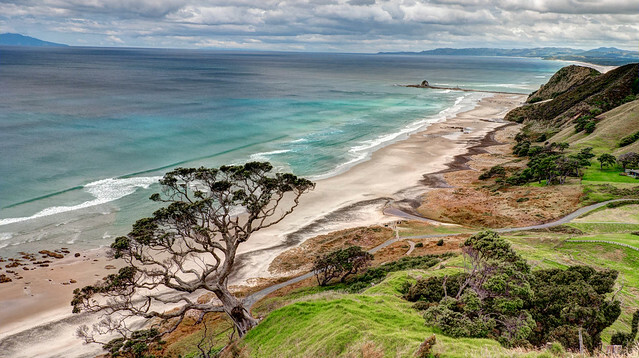 We wanted to do a lot backpacking (“tramping”) in New Zealand and were overwhelmed by the seeming limitless options. 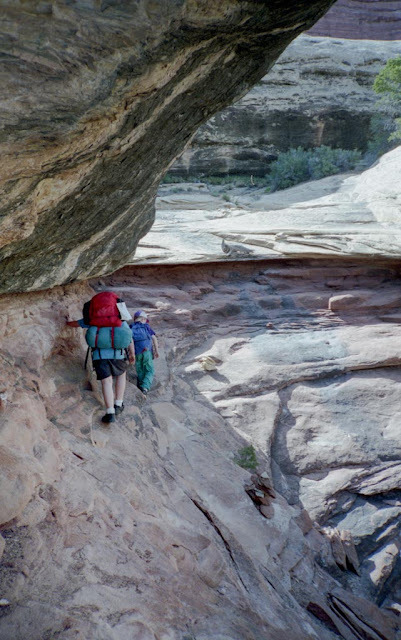 The Department of Conservation (DOC) manages an extensive list of trails (“tracks”) varying in length and difficulty. Of these, nine have been designated as “Great Walks” going through a wide variety of the country’s best scenery and each requiring multi nights out either camping in a tent (our preference) or sleeping in one of the many huts that the DOC maintains. For our first (and hopefully not our last) visit to New Zealand we decided to focus on doing most of the Great Walks. 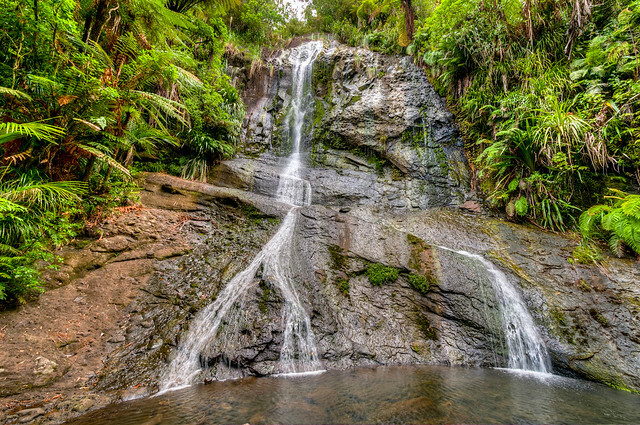 All are popular with Kiwis and tourists alike and advance booking is recommended. 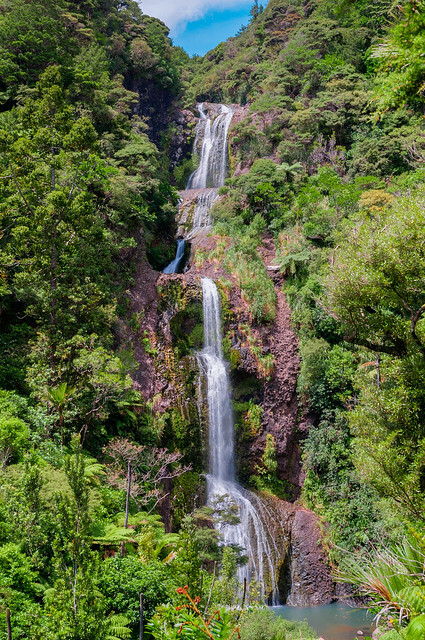 However we monitored the availability online and the only Great Walk we needed to book well in advance was the Milford Track, located in Fiordland National Park on the South Island. 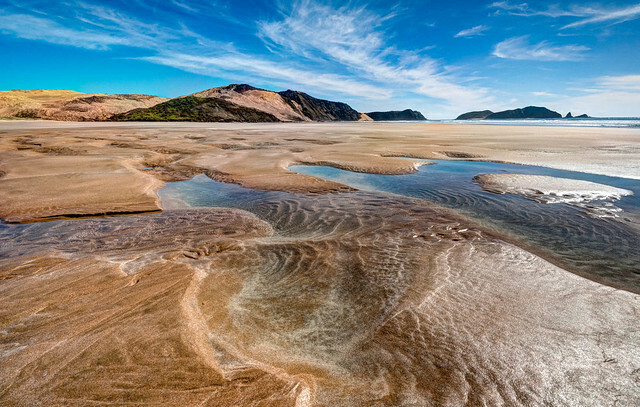 Of the nine Great Walks only three are located on the North Island. 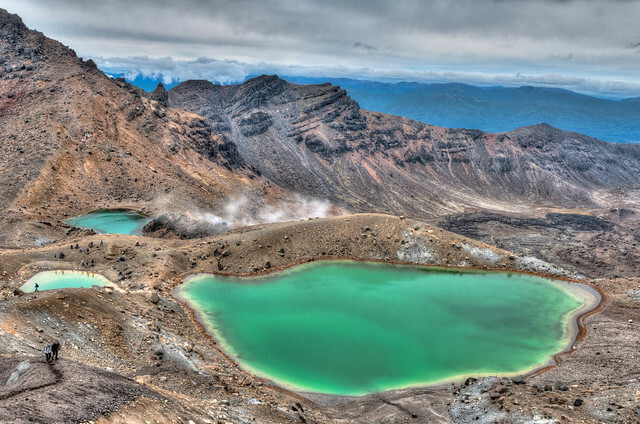 As we are more “mountain people” than “water people” we definitely wanted to do the Tongariro Northern Circuit in Tongariro National Park while on the North Island. However we decided to forgo the Lake Waikaremoana Great Walk or the Whanganui Journey (not a “walk” at all but a canoe trip). 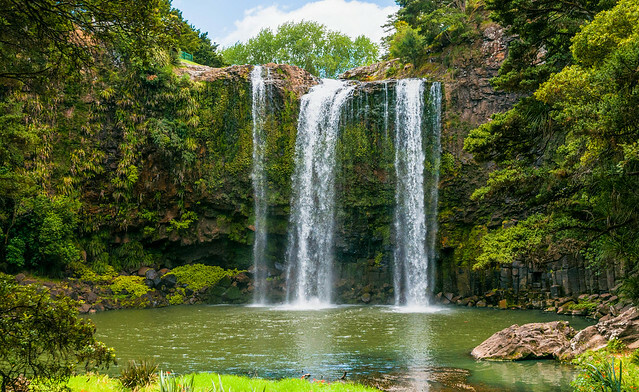 We wanted to be sure we allocated enough time to complete the remaining six Great Walks so we knew at the outset that we would spend far less time on the North Island than the South Island. We rented a campervan (and can highly recommend Cruzy Campers) for the entirety of the three months we would be there and quickly realized that it would take longer for us to drive anywhere than we previously thought. The roads are narrow, commonly winding and often steep. We were just one of many campervans and motorhomes being driven by tourists clogging the roads and there were some inevitable traffic delays due to sheep and cattle on roads. 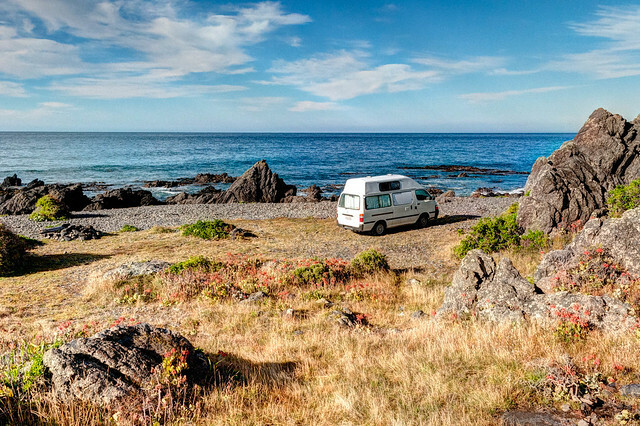 In New Zealand campgrounds that can accommodate campervans and motorhomes are called “Holiday Parks”. One significant difference from US campgrounds is that these Holiday Parks have large, clean, well furnished communal kitchens. 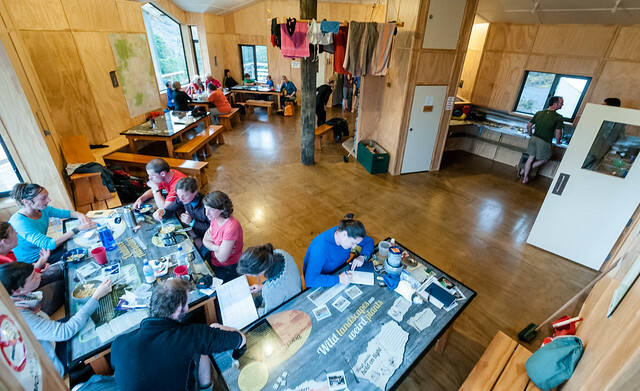 It is common for not just tent campers but those traveling in campervans to cook and eat within the communal kitchens. We rarely used them as we are not very social and found the intensity of the activity within to be overwhelming (not to mention the mingled, sometimes pungent, aromas of the multicultural cuisine being prepared). Another significant difference between NZ Holiday Parks and US campgrounds, one that we loved, is that nearly all Holiday Parks prohibit campfires and charcoal grills. We have never understood the obsession that campers in the US, native as well as international, have for campfires and the large amounts of irritating smoke that emanate from them. 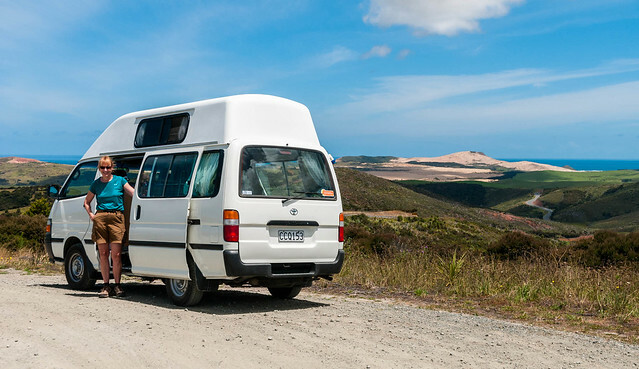 It is essential that anyone planning on traveling through New Zealand in a campervan or motorhome to become familiar with where you can stop for the night and Camping Our Way has detailed information. The cardinal rule is when in doubt, ask a local! While we favored staying at Top Ten Holiday Parks we occasionally had great opportunities to “Freedom Camp”. 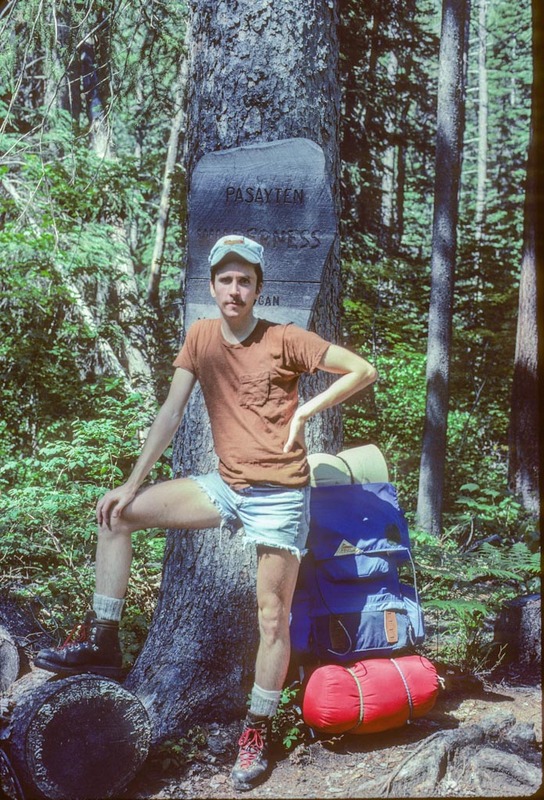 It appeared to us that commercial Holiday Parks were used predominantly by tourists whereas locals seemed to frequent the many Domain campgrounds located on public lands. Kiwis take “camping” to a whole new level with lengthy stays in large multi roomed tents sometimes complete with a refrigerator and sofa. 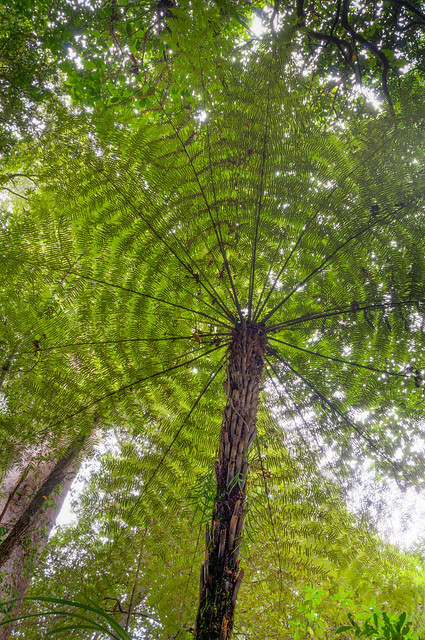 To help us decide what we should see beyond doing the Great Walks we relied on NZ Frenzy (North Island New Zealand) by Scott Cook. His books, which include one for the South Island, are a great resource to help travelers locate interesting, scenic and potentially less touristy places in New Zealand (more info at nzyfrenzy.com). 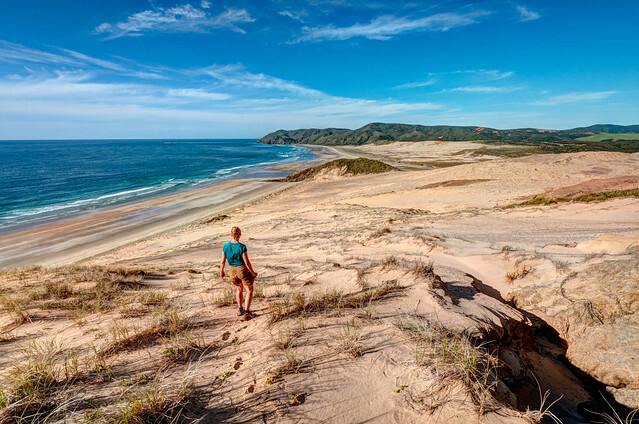 …and Cape Reinga at the northern tip where the Tasman Sea meets the Pacific Ocean. 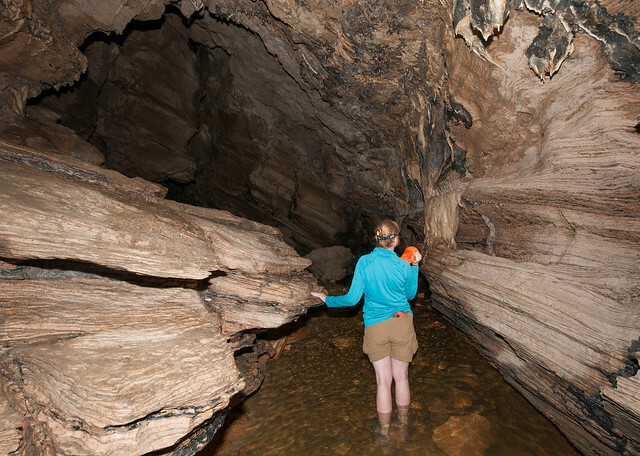 …and Organ Cave, one of three limestone caves included in the Abby Caves. A stream runs through all three so exploring requires some wading. 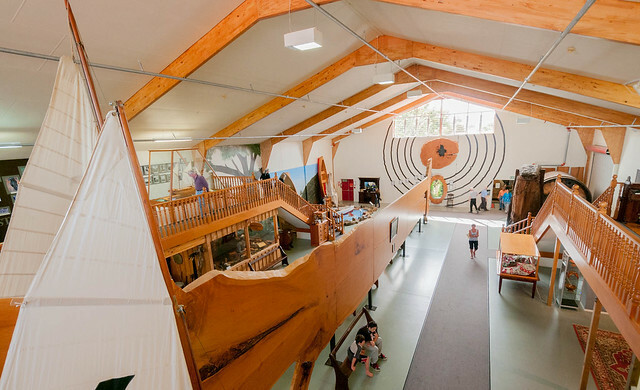 We visited the Kauri Museum and thoroughly enjoyed the extensive and elaborate exhibits that highlight the importance of the Kauri tree in the development of New Zealand. 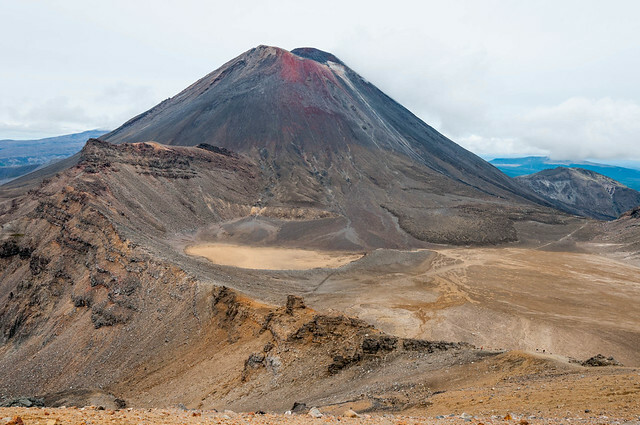 However after more than two weeks of driving and sightseeing we were more than ready to see some mountains and doing our first Great Walk, the Tongariro Northern Circuit in Tongariro National Park. We had heard that in New Zealand it rains on average one day out of every three so it seemed inevitable that we would get wet at some point on every Great Walk. Our goal was to try to arrange it so we encountered the poorest weather on the least scenic part of the track. Apparently the weather in Tongariro is especially difficult to accurately predict. After a couple of days of cloudy rain with “fine” weather in the forecast we booked our tramp. In order to increase our chances of seeing the “best parts” under better weather conditions we decided to do the track counterclockwise, opposite to how it is commonly done. We left Whakapapa Village in cloudy drizzle and headed toward the Waihohonu Hut and campground. The trampers we encountered who were heading out stated that visibility had been less than 10 meters and that they had seen “nothing” during the previous three days on the track. We consoled ourselves with the fact that this was the least scenic part and were grateful that it briefly stopped raining twice; once long enough for us to eat lunch and later to set up our tent. This was our first experience with a DOC hut and while it is our preference to sleep in our tent we certainly appreciated being able to get out of the rain to cook and eat. However we were happy to later leave the loud intensity and retreat to our tent. We were unaware at that point that at some huts tents campers are forbidden from using the hut facilities but in those cases a cooking shelter has been provided. 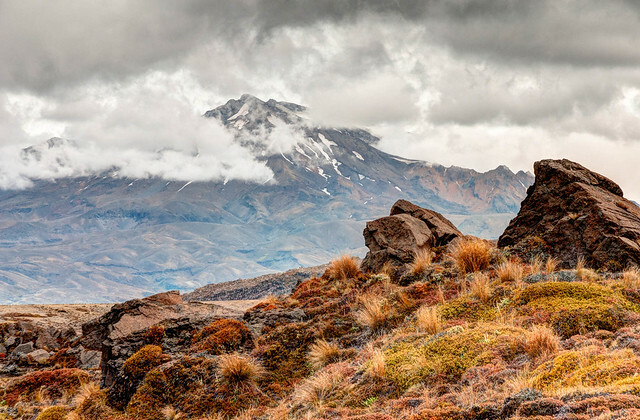 ... and the dramatic volcanic landscape of the Oturere Valley and Mt Ruapehu. The clouds continued to lift and break up as the day went on and we climbed higher. It appeared that our late start worked in our favor as we were thrilled with our views of the lower Emerald Lake, views that those who passed through earlier in the day would have missed. 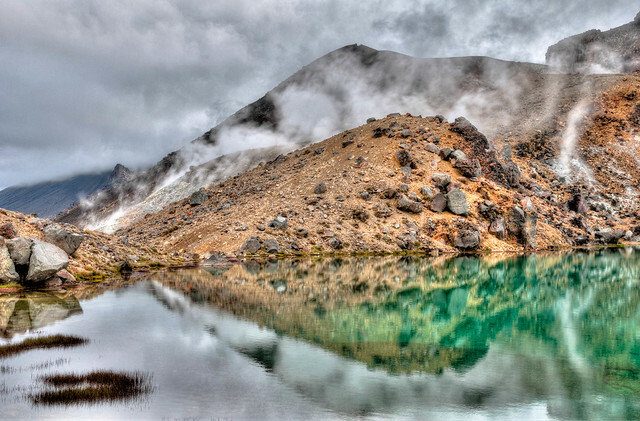 The Tongariro Alpine Crossing is purported to be the best day hike in New Zealand. 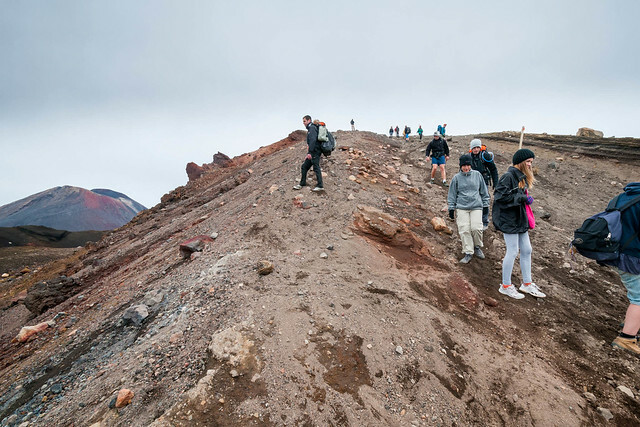 It starts at the Mangatepopo car park, follows the same track as the Northern Circuit across the saddle before descending to the Ketetahi car park. The 12 miles (19.4 kilometers) takes about 7-9 hours and is done by hundreds of people every day, some better prepared than others. A challenging part for the less skilled is descending the steep scree slope from the saddle. 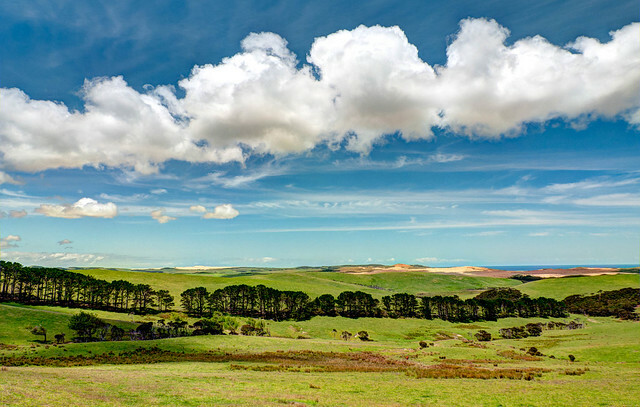 We initially used the 6th edition of the Lonely Planet book, Tramping in New Zealand, as a resource but found that some of the track descriptions were no longer accurate. 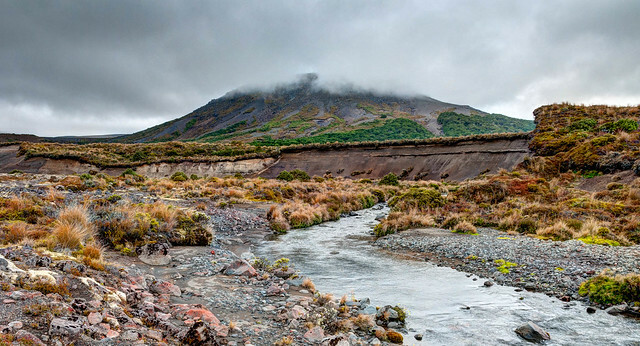 The segment of the track between Whakapapa Village and Mangatepopo Hut is a good example. The book, which was published in 2006, reports that this portion of the track had been upgraded to correct previous muddy conditions. However it now appears that flooding has since left many deep gullies along the track that cannot be circumvented. 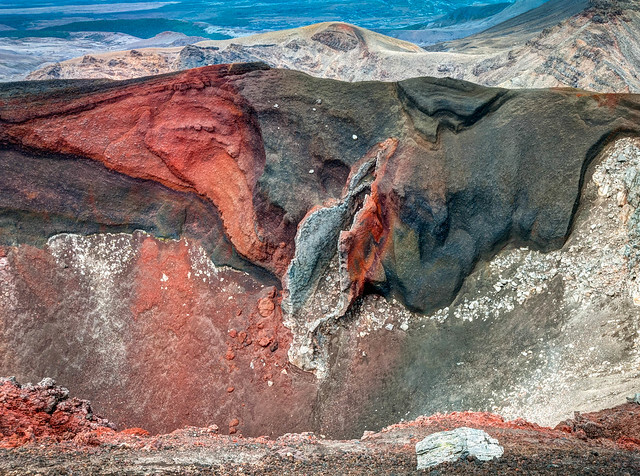 All of our Tongariro Northern Circuit photos are on Flickr. 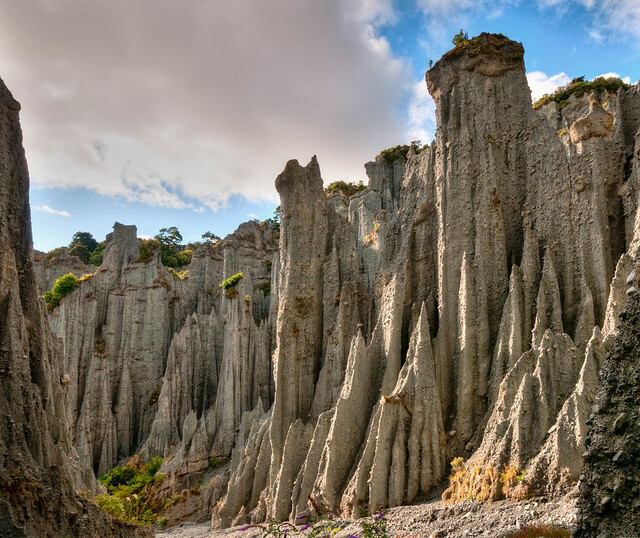 After leaving Tongariro we headed south and visited Putangirua Pinnacles Scenic Reserve. 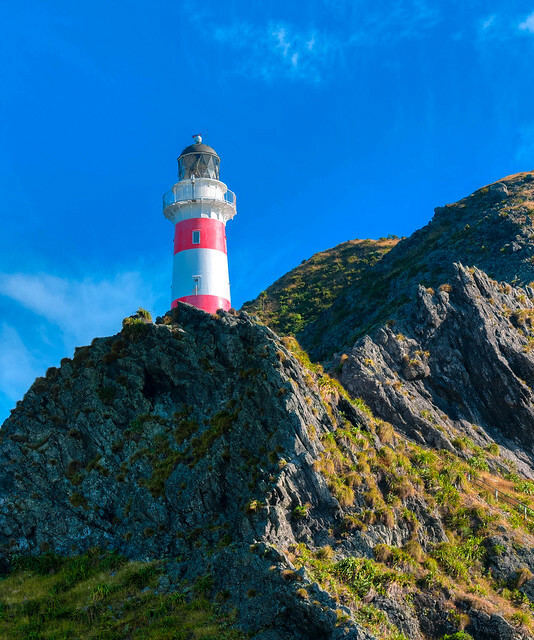 We then went to Cape Palliser, the southernmost point of the North Island, to see the light house. The road followed the coast and the map indicated that there were some seal rookeries nearby. I looked but was disappointed to not see any seals on the way to the lighthouse. We arrived just as the sun went down and “Freedom Camped” on the beach. The next morning we looked outside and were surprised by the illusion that the rocks were moving. 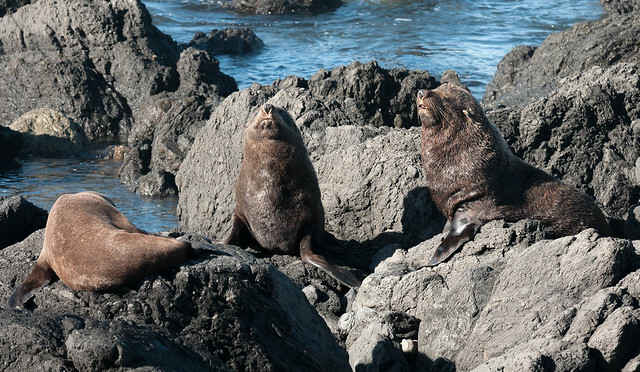 Apparently seals don’t check maps before they haul out of the water and lounge on rocks. We were practically surrounded. 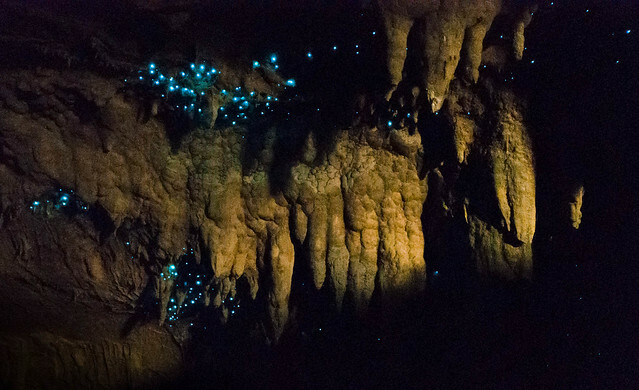 All of our photos of New Zealand sights are on Flickr. 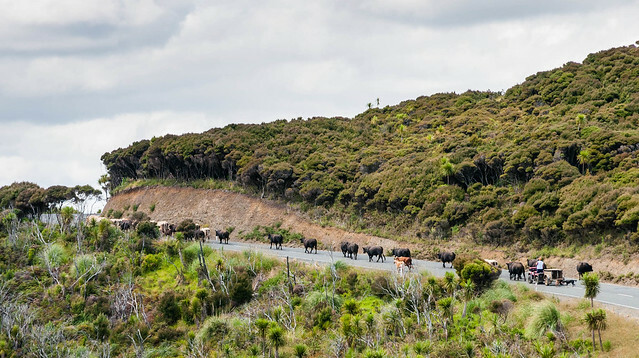 We had read somewhere that it was best to wait until Kiwi kids were back in school before visiting New Zealand as Holiday Parks (campgrounds) would be less crowded. However we are happy that we did not completely follow that advice as it enabled us to observe some Kiwi families and how they interact with their children. I have to say that we liked what we saw. We observed that Kiwi’s allow their children a great deal of personal freedom to play and explore without overt parental “hovering”. 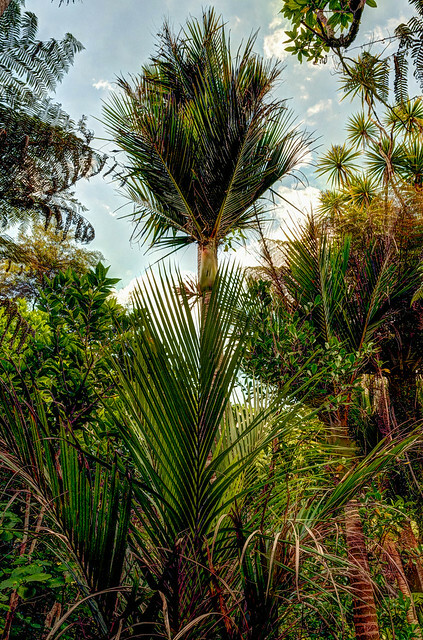 It appeared to us that little, if any, notice is given to a few bumps or bruises and that Kiwi kids are adept at “picking themselves up and brushing themselves off. If they got dirty in the process, what of it? While NZ schools may require students to wear sunhats outside, it is common for Kiwi kids to attend school (or to go anywhere for that matter) barefoot. It also seemed that Kiwi parents spend far less time telling their children what to do (or not do) than do parents in the US. If/when they did it was far more effective. I can’t even recall hearing a Kiwi parent yell at a child. Could it be that we parents in the US have been conditioning our children to ignore us? We were pleasantly surprised how willing Kiwi kids were to talk to us and how curious they were about us, wanting to know where we were from, where we had been, where we were going etc. Fear of talking to strangers seemed non-existent. 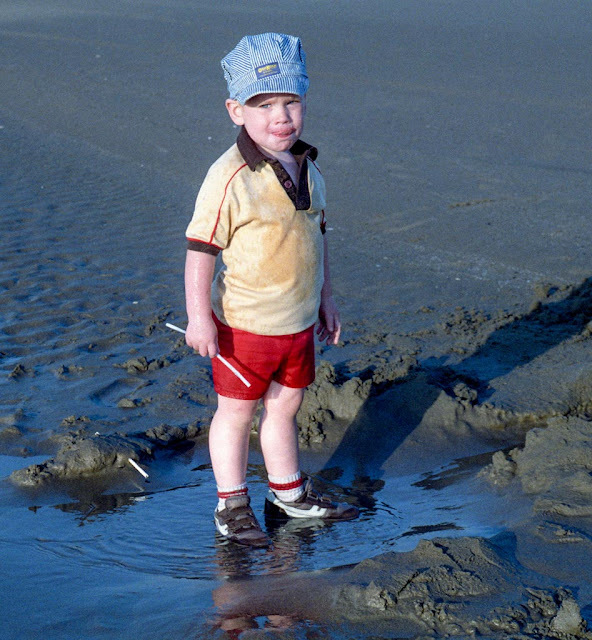 When we mentioned our observations to Kiwis they expressed surprise saying things such as “Oh no, it’s not like it used to be”… “Nowadays parents wrap their children in cotton batting” …“It used to be that you hadn’t had a normal childhood if you made it to 16 without at least one broken bone”. What we saw reminded us both of what it was like when we were growing up back in the 1950’s and 60’s before parents in the US learned to “hover” over their children. When we had children we wanted them to have the same freedom and experience the same feeling of independence that we had. Unfortunately by the 1980’s and 90’s when our two boys were growing up things had changed in the US. There was more traffic and fewer sidewalks. More parents worked outside of the home so more kids were in daycare. There were also far more organized afterschool and summertime activities. 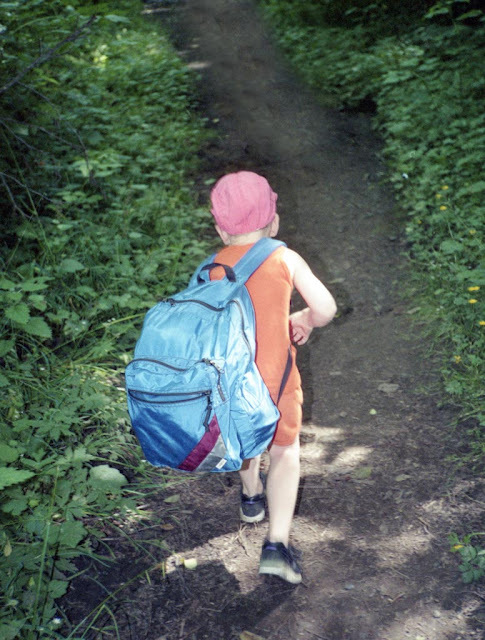 When I was a kid I loved to explore the nearby woods, sometimes alone and sometimes with friends and none of our parents ever worried about not knowing where we were. That was before the media’s focus on admittedly tragic but statistically rare occurrences of child abduction. There was also a wooded area near our house where we raised our kids but parents in our neighborhood (myself included) were not comfortable with our children just going off to explore without an adult along to “protect” them. In addition our increasingly litigious society became more safety conscious. Gone were the tall swings with the heavy wooden seats that I loved as a child, replaced by shorter swing sets, with softer plastic seats. 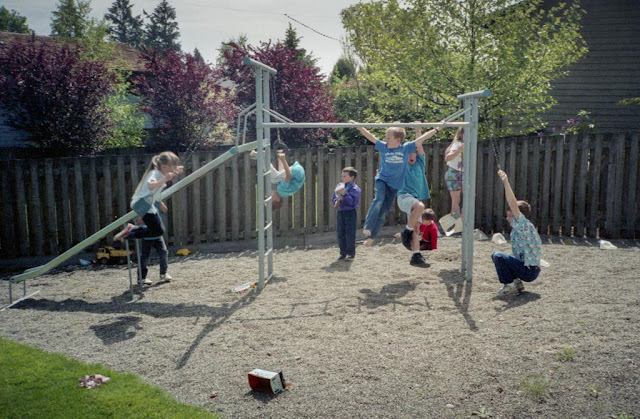 No longer could a child swing as high as we could (standing on the seat, no less) or “fly” as far as we did after jumping from the swing in mid air. The current day flexible seats on swings have this annoying way of squeezing your hips, squishing your knees together and holding you firmly in place until you have your feet on the ground. 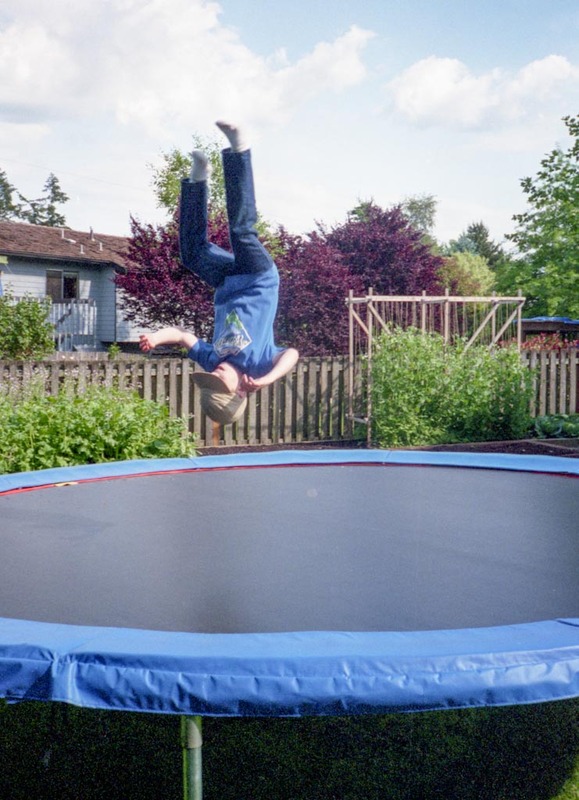 Also gone were the tall sliding boards and high metal “monkey bars” built over hard packed dirt, replaced by lower plastic “big toys” surrounded by thick layers of rubber chips. Safer? Sure. But as scary and exciting? Sadly no. As much fun? Many would say definitely not. 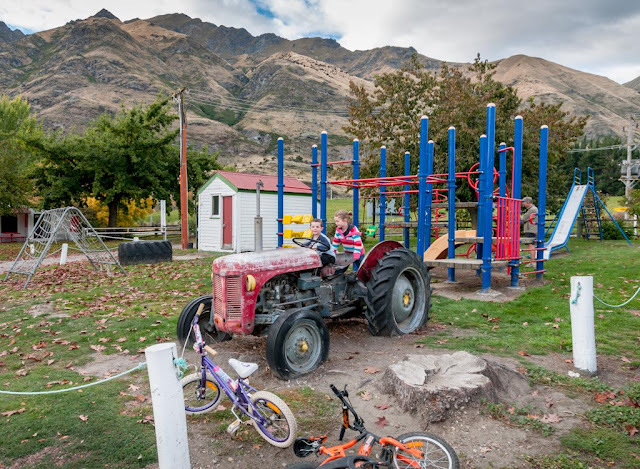 While we saw plenty of modern playground equipment during our travels through New Zealand we were gratified to see that there still exists some of the good old fashioned “dangerous” playground equipment that we loved in our youth. Granted the heavy wooden swing seats can knock out a few teeth and the lack of rubber chips covering the hard packed ground under high bars may lead to a few broken bones. 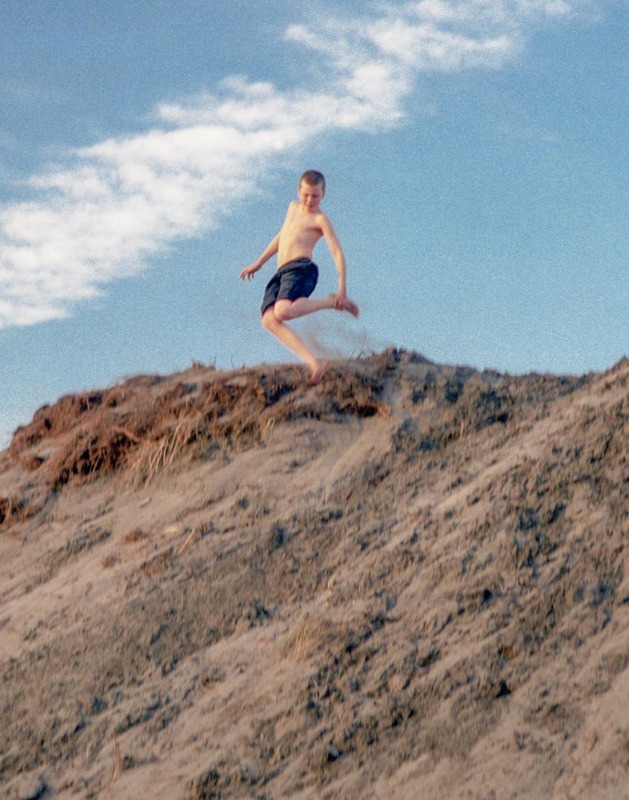 But what a great opportunity for kids to learn how to pay attention to their immediate surroundings and not get too close to something heavy flying through the air toward their face. 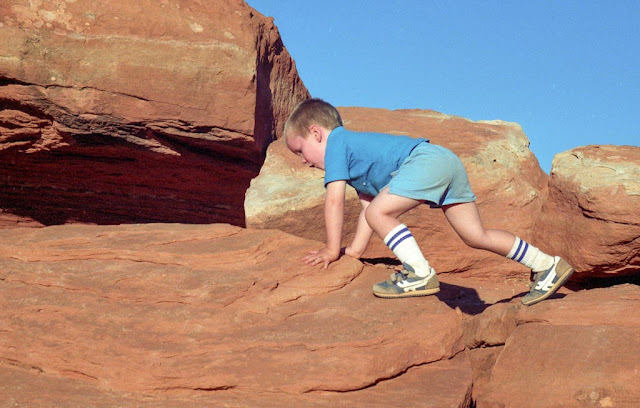 What a great opportunity for kids to learn perseverance, to endure some discomfort and try just a little harder to hang on to avoid falling and potentially break something. ... as well as plenty of lawn for volleyball, badminton and croquet. 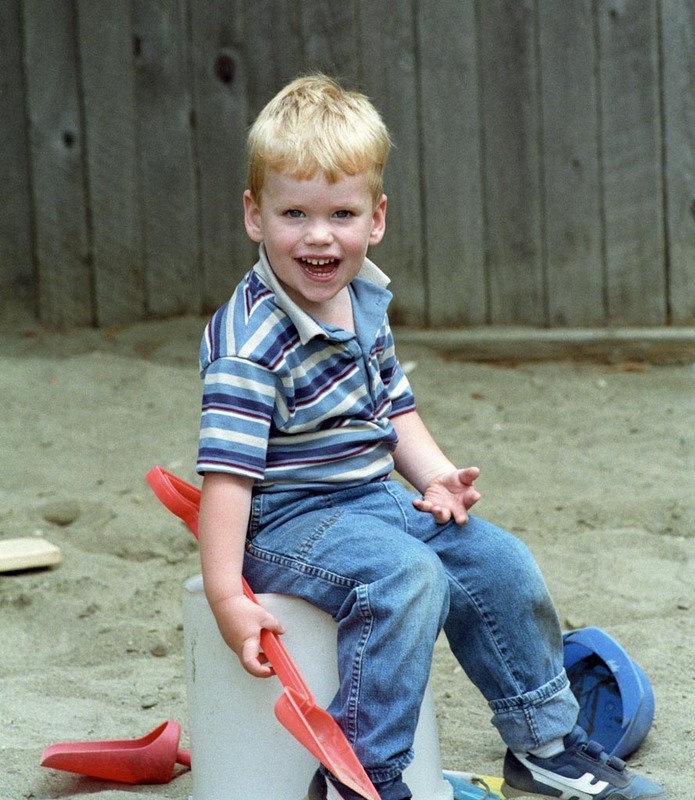 We were happy to be able to provide our children plenty of opportunities to play outside, to get good and dirty, to sweat, and to just have fun! But something that surprised me was that not all parents felt the same as we did. There was a little boy who lived across the street from us. His clothes were always immaculate, I swear his mother ironed his jeans, and he was told on a regular basis to not get dirty. The problem was that he loved to come over to our house and play with Dan and Tom. It was inevitable they would all get really dirty so I routinely had this little guy change into some of Tom’s clothes. When it was time for him to go home I gave him a quick bath and had him put his own, still immaculate, clothes back on. When both boys and their classmates were to go on a school field trip to dig up crystals I heard that some parents were upset by the fact that there would be no toilets available. I hadn’t thought it would be a problem as the crystal dig site was surrounded by woods that would provide plenty of privacy. 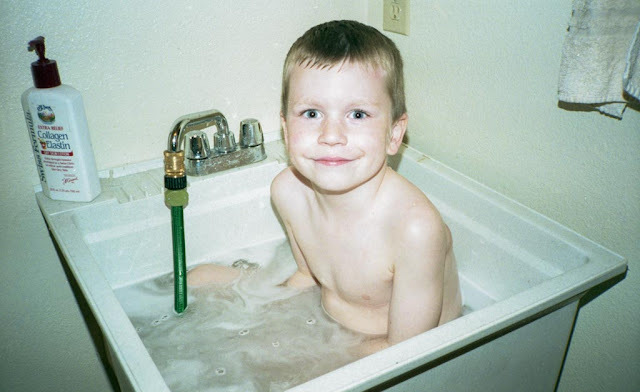 I had not realized that there were children growing up without what I saw as an essential childhood life skill – the ability to pee outside. Those situations seem funny to me now but something I observed more recently still saddens me. Last September when we were in Yosemite National Park we stopped at Glacier Point which is an extremely popular view point especially for photographing sunsets. 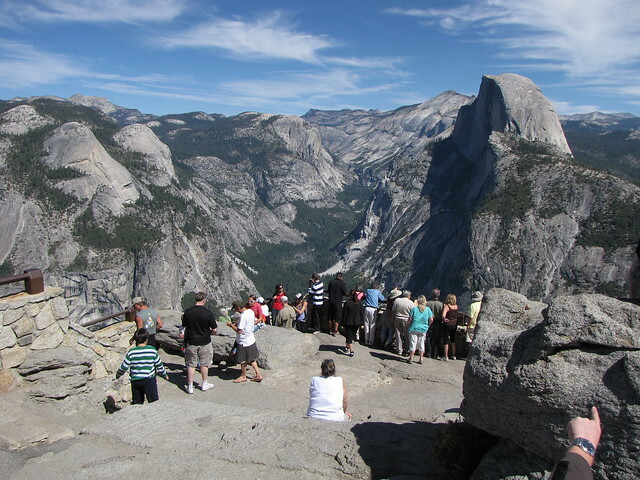 Not surprisingly it was really crowded especially in the small area that provided the best view of the Yosemite Valley. I wasn’t able to hear the little boy’s tearful response but I think it is likely that he did eventually say he “promised” although I seriously doubt that a child that young could really understand what that meant. I know, I know, this was none of my business and I’m sure these young parents were only trying their best to raise a responsible child but I just found it to be so perplexing. I can understand why they wouldn’t want him to play in that particular spot because he could easily have been stepped on by a distracted tourist. But that didn’t seem to be their issue and I still can’t figure out what was so wrong with what he was doing that compelled his father to insist he promise to not do it again. 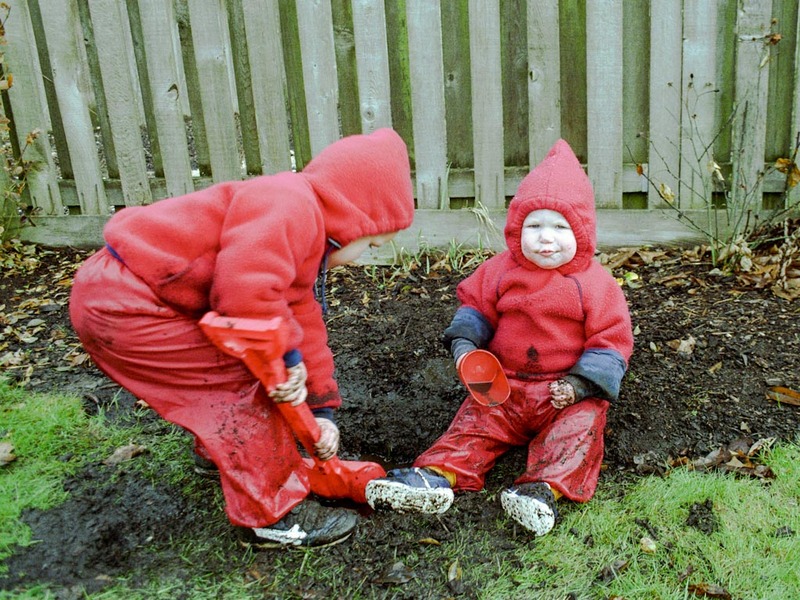 … and, yes, sometimes they even want to play IN holes! One of the many great things about kids, even boys, is that they are completely washable! 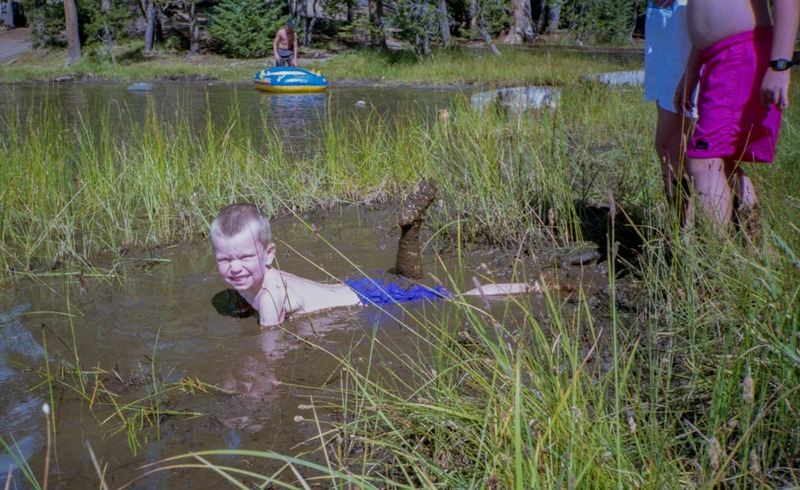 I believe it is important for our children to value the outdoors because those of us who want to preserve and protect our wild places won’t live forever and we will need to pass that responsibility on to younger generations. John and I both started backpacking back in the 70’s when the popularity of backpacking really took off in the US. 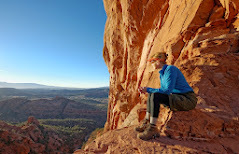 … but there are other options and resources are available to help achieve this; REI’s Family Adventure Program, REI Adventure Travel for families, REI Outdoor School, Outward Bound, National Outdoor Leadership School to name a few. 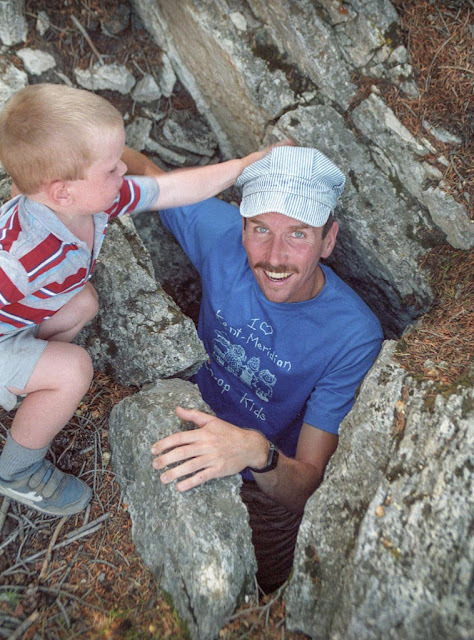 In addition it seems to me that lessons learned in the backcountry and the outdoors in general are applicable to everyday life and I think this is something that Kiwi parents have intuitively understood. That their more relaxed attitude provides their children with opportunities to learn from experience, that taking risks teaches appropriate caution, that suffering logical consequences teaches them to take responsibility for their actions and that personal freedom teaches self reliance. In addition Kiwi adults serve as great role models for how to face discomfort and adversity with a positive attitude and a good sense of humor. 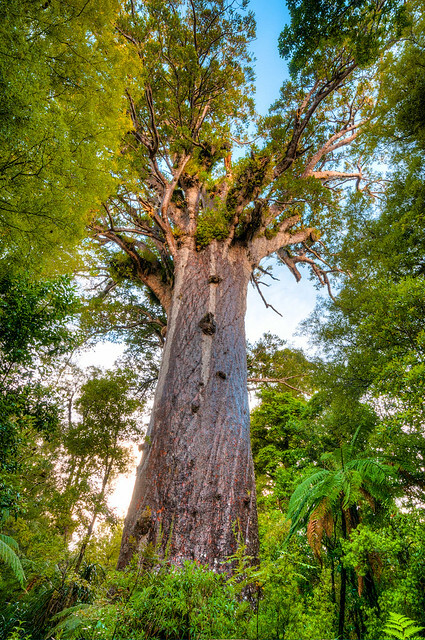 We had several opportunities to observe this while hiking (tramping) in New Zealand. 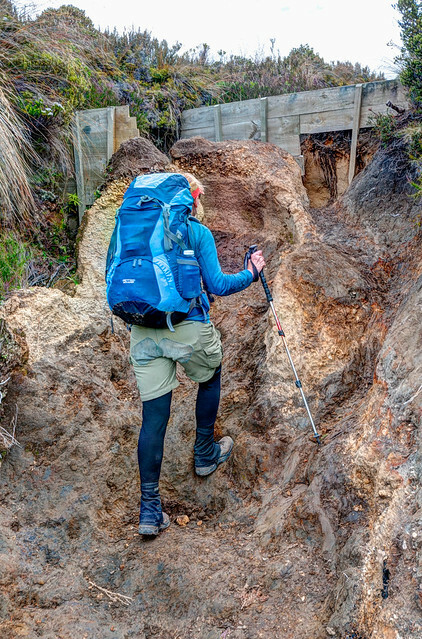 Kiwis are great walkers and their country is covered with countless trails (tracks) of different lengths. 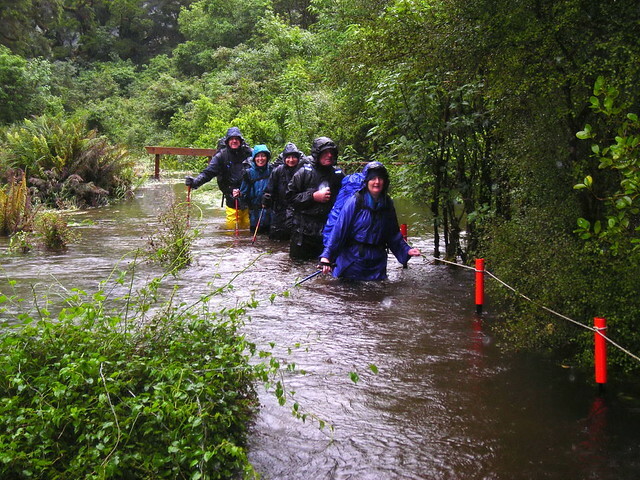 New Zealand is also a very wet country. While we are from the US Pacific Northwest, and therefore no strangers to wet conditions, we couldn’t help but notice that Kiwis are far more accepting of it and just don’t “whine” about like we do. We were surprised how casual Kiwis are about hiking in the rain without raingear. Granted their backcountry hut system assures them a warm dry shelter at the end of the day but even so it makes for an uncomfortable day. 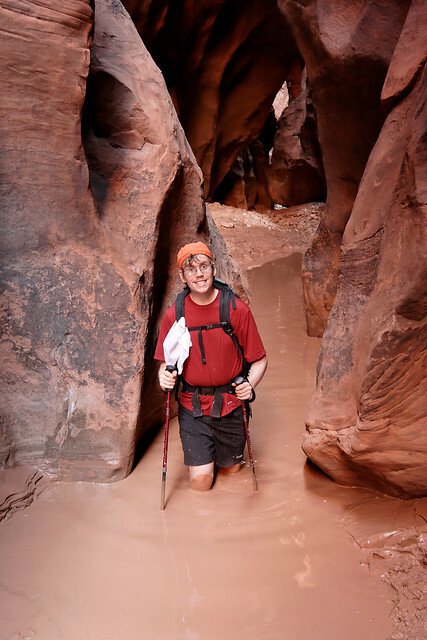 We were really surprised with their ready acceptance of wading through the water that oftentimes temporarily covers portions of tracks, even those included in the list of the nine “Great Walks”, their premier tracks. Don’t get me wrong, the Department of Conservation is most certainly concerned about the safety of hikers (trampers) and will close portions of tracks when water is dangerously high but the attitude seems to be that if your life isn’t in danger then you are expected to wade through it no matter how deep. I heard one DOC Hut Warden casually describe water over a portion of track we would be on later that very rainy day. She recalled a time when it had been chest deep but that it was “no problem because the water was clear enough to see the boardwalk below and the current wasn’t too strong”. I just have to admire a people who can view carrying a pack through “chest deep water” as “no problem”. 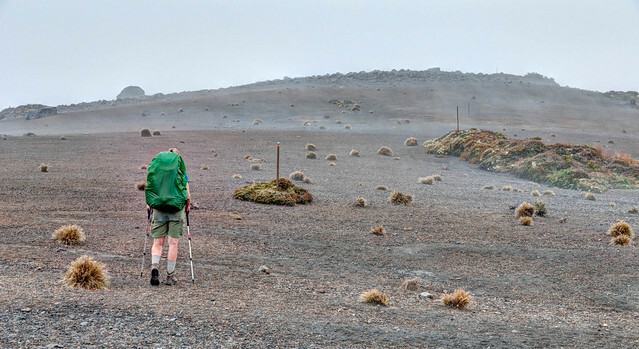 I can’t imagine typical Americans, even those of us who love to hike and backpack, enduring conditions such as these with the positive attitude and good humor of a Kiwi. 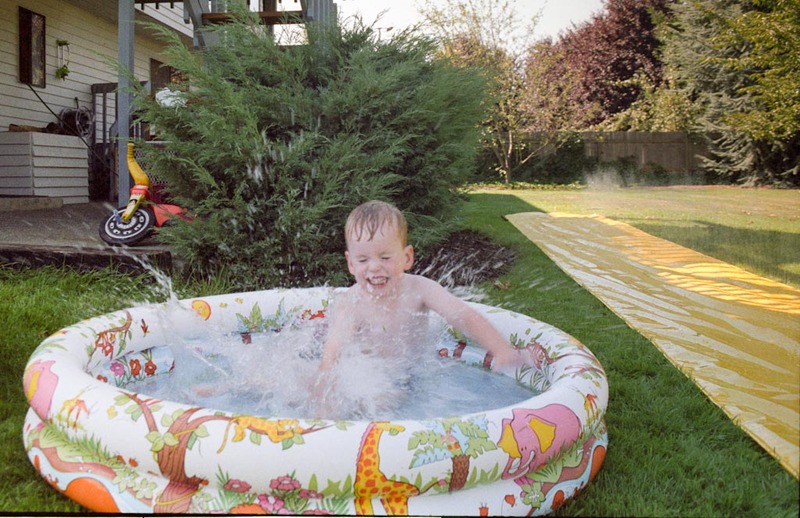 I see the removal of those old fashioned “dangerous” playgrounds that we loved as children and our society’s increasing unwillingness for our kids to get wet and dirty as a metaphor. That in our efforts to protect our children from adversity we are hindering their preparation for their future in a world where the “ground” can be “hard” and the “water” can be “deep”. We have removed some great opportunities for them to learn adaptability, resiliency, self reliance, personal responsibility and accepting the consequences of their own actions. 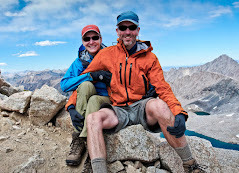 Becoming parents is a great adventure, not unlike entering an undeveloped wilderness area. Unfortunately children don’t come into this world with maps to guide us to wherever our destination is as parents. Initially our “route” is clear, to feed and protect our helpless infants. However, as they grow our job evolves into one of guiding them toward their destination – adulthood. We may think we know where that destination is and we may believe we know the best way for them to get there. We may even try to clear a trail for them. After all we love them and it is natural that we want to make things easy for them but we need to remember that lessons learned by experience, their own experiences, are infinitely more meaningful than those learned from the experiences of others, even those of their parents. And most importantly we need to understand that growing up and becoming an adult is their adventure, not ours. 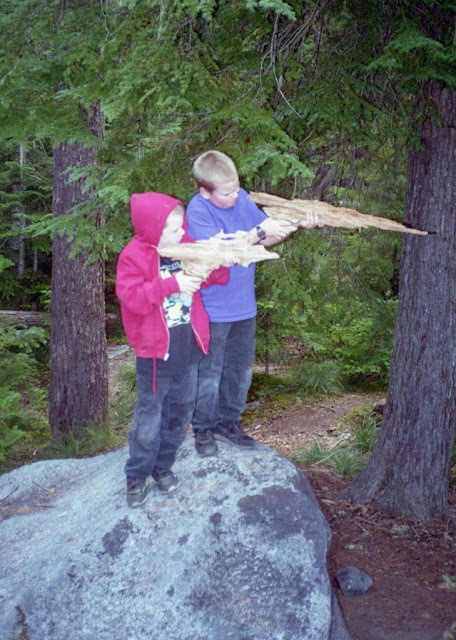 All we can really do is help them learn some of the “route finding” and “survival” skills that they will need. Then as they get older we need to allow them increasing opportunities to practice these skills and enable them to learn from their own experience. Sure they will suffer some “bumps” and “bruises” along the way but how else can they really learn how to take care of themselves? Lastly as parents we need to realize that there comes a time, whether we believe they are ready or not, when the only thing left for us to do is to stop and let them continue on their way without us.